A perfect decoration that's ready to hang straight on to a gift, mantelpiece or tree. 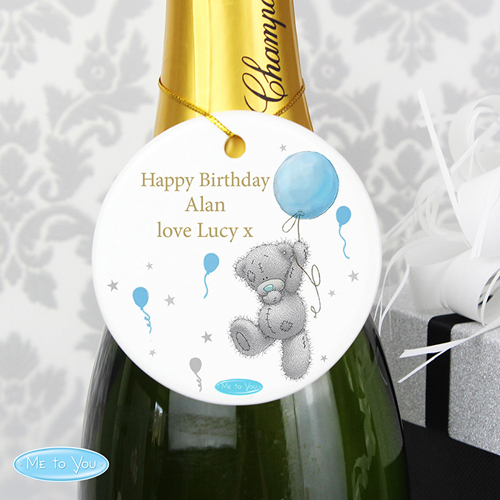 Personalise this 'Me To You' Ceramic Decoration with a message over 3 lines of up to 15 characters per line. You can then add a number up to 2 characters in length, which will appear inside the balloon (this is not mandatory and can be left blank if preferred). All personalisation is case sensitive and will appear as entered. This item is not available on a next day delivery.